BMW's controversial coupe-shaped SUV returns in second generation guise. Jonathan Crouch reports. The BMW X6 looks broadly similar than before, but don't be fooled by the lookalike silhouette. It's bigger, more powerful and more efficient than before. Love it or hate it, you have to respect a vehicle that's sold over a quarter of a million units and which has evolved into something rather special. 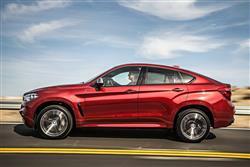 Has there been a more divisive car than BMW's X6 launched in the last decade? There were arguments for and against the Chevrolet Volt, the Subaru Impreza caused a big kerfuffle when it went from saloon to hatch and the Posh Spice-influenced Range Rover Evoque gave the old money a fit of the conniptions but the X6 probably has them all aced when it comes to generating extremes of approval or disapproval. The original debuted back in 2008 and the formula was pretty simple. It was basically an X5 with a coupe-style sloping back. Lots of people got very aerated about this, claiming that here was a car with the handling shortcomings of an SUV coupled with the limited practicality of a coupe; the worst of both worlds. But then the X6 sold and sold in serious numbers. In fact, BMW shifted more than a quarter of a million of the things. 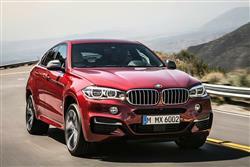 The formula was extended, with BMW launching the smaller X4 in early 2014. 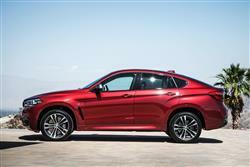 Now, we get a second generation X6 that's bigger and more powerful but still more economical. You've probably got used to the X6's shape by now and you'll also have got used to BMW's spectacularly cumbersome naming conventions for its SUVs. 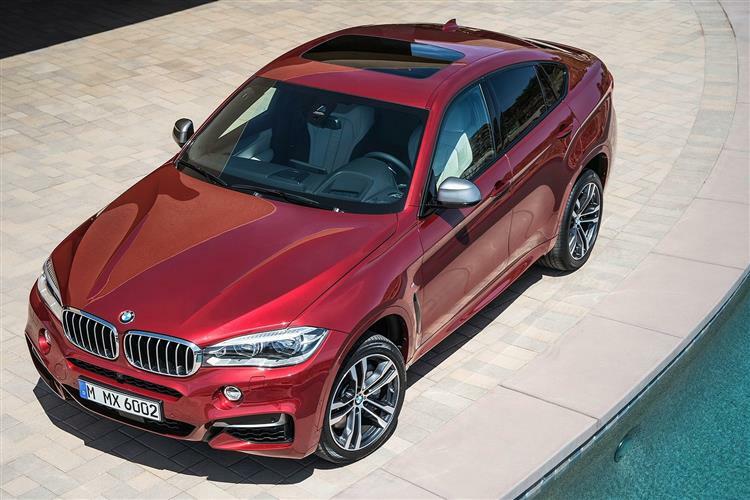 The X6 range consists of a trio of diesel models, plus a petrol variant that's certain to remain a rare sight. It opens with the 258PS 3.0-litre six-cylinder xDrive30d. Even this one's not slow, accelerating through 62mph in just 6.7 seconds. Not quick enough? Then you might well gravitate to either the 313PS xDrive40d or the powerhouse tri-turbo 380PS M50d which will detain you for just 5.2 seconds on the sprint to 62mph. The sole petrol offering is the V8 xDrive50i that is good for 443PS and which, like the rest of the range, sends drive to all four wheels via a ZF eight-speed automatic transmission. The underpinnings include a combination of a double-wishbone, double-pivot front suspension and the proven integral rear suspension, patented by BMW. Improvements have been made in directional stability, the friction coefficient of the wheel bearings, tyre noise and weight, which has been reduced by two kilos on the front suspension alone. The X6 gets electric power steering including Servotronic speed-sensitive power assistance. Meanwhile, Active Steering - available as an option - also adjusts the steering ratio to the car's speed, reducing steering effort for low-speed manoeuvring. Best to try this system before you buy. Like the X6 itself, it divides opinion. 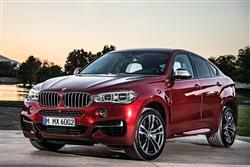 BMW reckons the X6 combines "the robust presence of a BMW Sports Activity Vehicle with the hallmark sporting elegance of the brand's Coupes to create an unmistakably athletic appearance". That might be the case if you consider an American football player or a pro-wrestler to be athletes. It's hefty. The silhouette looks much as before and the car squats over its wheels like Konishiki in the sumo circle. 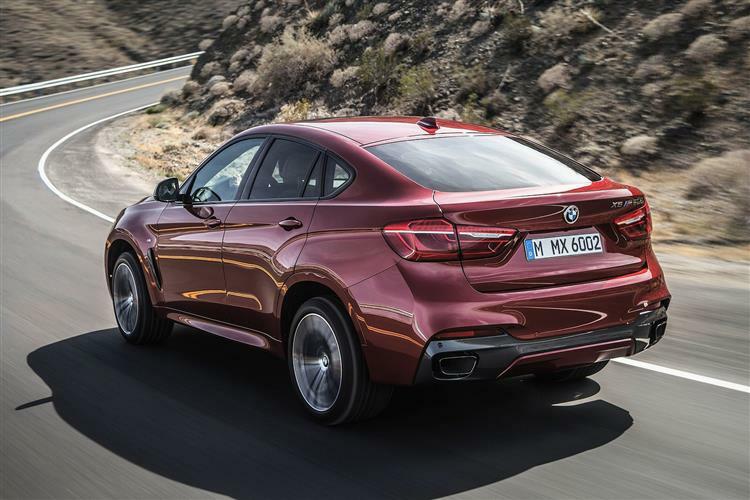 The initial shock at the car's styling has dissipated somewhat, and with the right colours and wheels, the X6 can even look quite handsome, the deeply sculpted flanks incorporating the Air Breathers which work better here than on a 4 Series Coupe. The cabin has been updated with better quality materials used throughout. There's a 10.2 inch free-standing Control Display screen linked to the revised iDrive Touch Controller operating system. The climate control and ventilation displays feature black-panel technology.There's more space inside and versatility has been improved with a 40:20:40 folding rear bench seat and a luggage bay that gets 75-litres bigger than before, now measuring up to 1,525-litres with the seats folded. That's good, but it's still about 350-litres less than an X5. That's the price you pay for the rakish rear end. Prices start at just over £51,000 for the xDrive30d SE, with the xDrive50i pitched at just over £63,000 and the M50d topping proceedings at around £67,000. Is that good value? It's a tough question because there's so little that compares directly to the X6. To frame those prices a little better, an X5 xDrive30d SE is almost £3,000 cheaper, so the X6 adheres to the old formula of paying more to get less. Features available include a Driving Assistant with Lane Departure Warning and a pedestrian and collision warning system with braking function. Dynamic Safety adjusts the seat belts, front passenger seat, windows and sunroof (if fitted) to the optimum position to survive an accident, while Attention Assistant can sense possible driver fatigue and issue audible and visual alerts. The Glare-free High-beam Assistant allows full beam to be maintained even when there are other vehicles approaching or immediately ahead by masking the portion of the light pattern which could blind other drivers. The BMW Parking Assistant identifies suitable parking spaces and not only steers the X6 into them but also operates the accelerator and brake, while Surround-view gives the driver a 360-degree view of the outside of the car. Internet access and Online Entertainment, giving access to 12 million music tracks, are available, while BMW Apps includes web radio, customised music programming and access to Facebook and Twitter. A Harman Kardon Surround Sound system and a Bang & Olufsen Advanced audio system also fill out the options list. 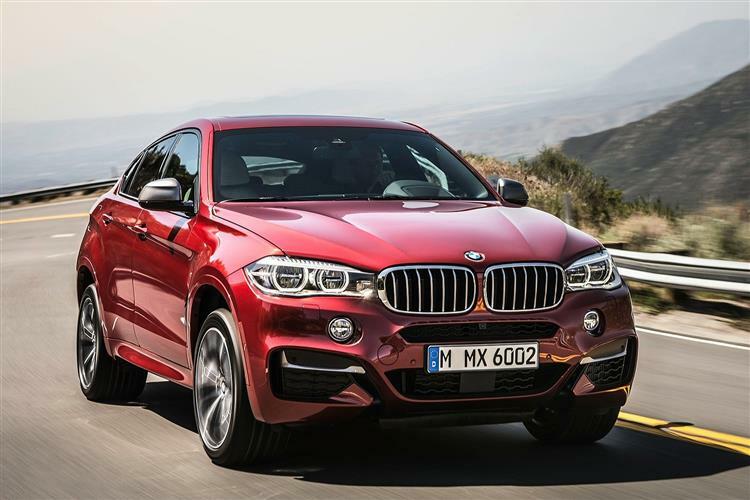 The X6 makes a great riposte to those who still rail against big, inefficient vehicles. While it would find it difficult to deny the charge based on size, it's anything but inefficient. 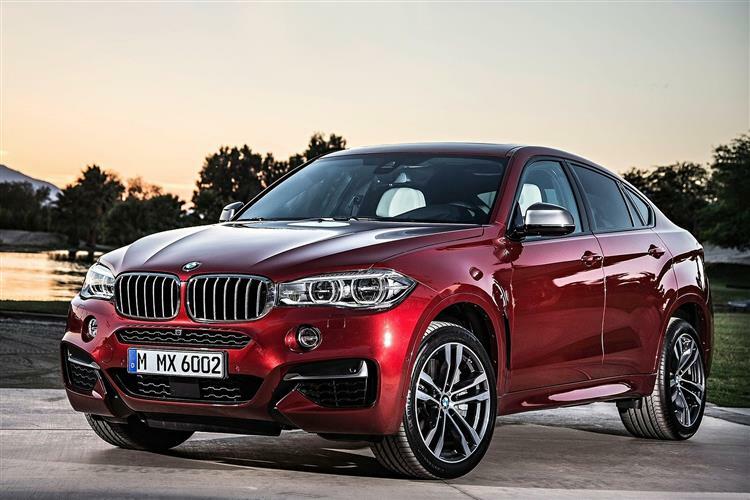 In fact there are some superminis that can't match the X6 xDrive30d's 47.1mpg and 157g/km. Even the M50d emits just 174g/km. That's still less than the original Ford Fiesta ST. Okay so the V8 petrol X6 xDrive50i is a fair bit thirstier, but it's 22 per cent more economical than before, with emissions pegged at a hardly catastrophic 225g/km. Where the original X6 scored was in offering those with families or active lifestyles a vehicle that didn't look as if the owner had given up and grown old. That formula's pretty durable and it's meant that used X6s attract very strong residual values. The evolutionary styling of this second generation model is likely to preserve retained prices of the original and there's no reason to think it won't follow suit with low depreciation helping to keep overall pence per mile costs manageable. Along with the ECO PRO drive functions, the MK2 X6 also comes with many other BMW EfficientDynamics features. These include Brake Energy Regeneration, Auto Start/Stop, on-demand operation of ancillary units, Electric Power Steering, and a variety of weight- and drag-reducing features. 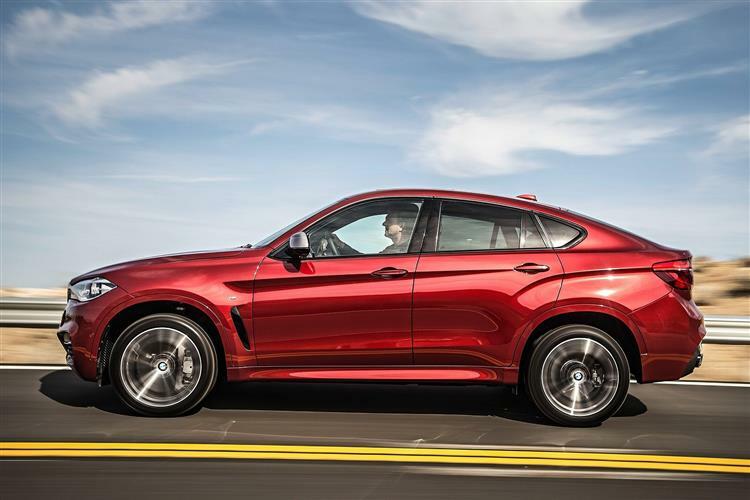 When you pause to consider it, the BMW X6 shouldn't really have caused such controversy. It's a bit like getting hot under the collar about a 3 Series Coupe when you can buy a perfectly practical 3 Series Touring for less. They're not the same thing, the buyers aren't the same and BMW ought to be congratulated for having the savvy to spot this latent demand. Even if it's not your thing, and there are many who will put their hand up to that, the X6 deserves a certain measure of respect. This second generation model doesn't diverge too markedly from the template laid down by its predecessor. It's just better in every measurable regard; more powerful, more economical, quicker, bigger and less polluting. It's also built of superior materials, is arguably a bit better looking and comes with some tempting high-tech options. Admire it for what it is. The X6 isn't going away.